Airbus edged out Boeing in the annual aircraft order competition for 2017, but where did all those orders end up? 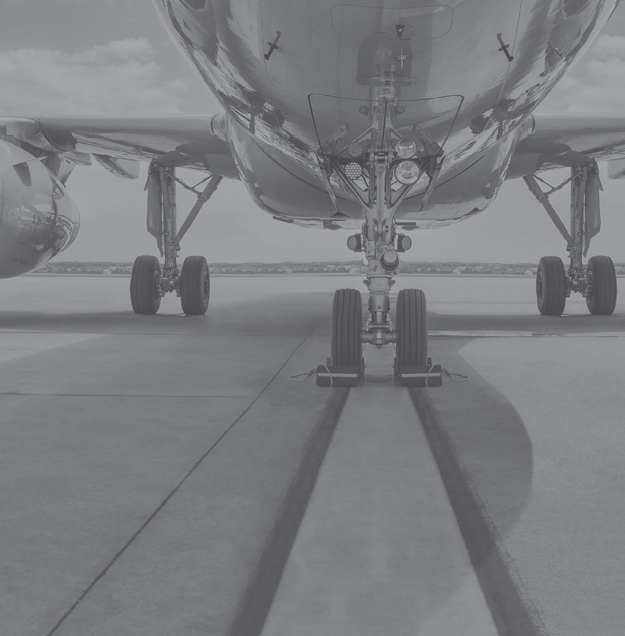 Aircraft scheduled for delivery in 2018 will have been ordered anywhere up to five years before delivery, when market conditions were different and fleet plans were susceptible to change. The two largest markets for aircraft deliveries in 2018 will be the United States and China, but for entirely different reasons which highlight the shifting power base of the global aviation market. 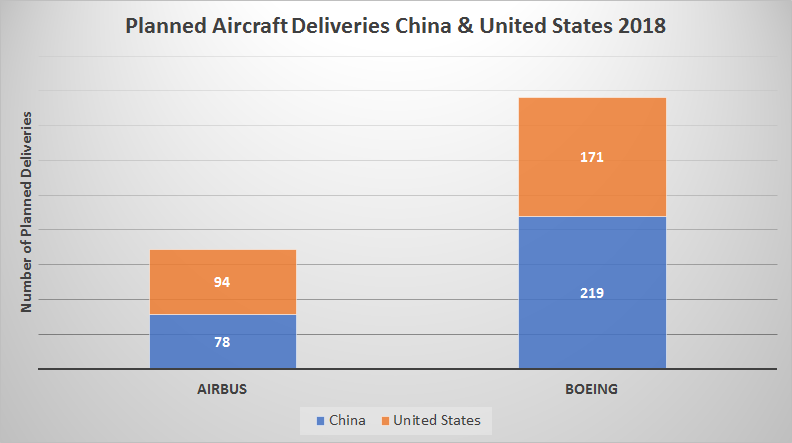 In absolute terms, the United States will receive 342 new aircraft this year compared to 327 in China – this equates to essentially one new aircraft a day in each market allowing for a few public holidays! In terms of manufacturer choice, Boeing has a clear lead as the chart below highlights, essentially delivering more than twice as many aircraft as Airbus. From a delivery perspective, the United States remains a slightly larger market, but the crucial differentiator is in the purpose of the new deliveries. In the United States many of the planned deliveries will be to replace existing aircraft. For example, Delta Air Lines intends to use the majority of their 72 aircraft deliveries to replace existing aircraft in what they have described as a capacity neutral programme. As the chart below illustrates, the spread of new deliveries across the major airlines in each market is very strong, with Delta scheduled to take delivery of a new aircraft every five days, which is ideal for avoiding weekend work. China Eastern is also expecting to take at least one new delivery each week of the year. 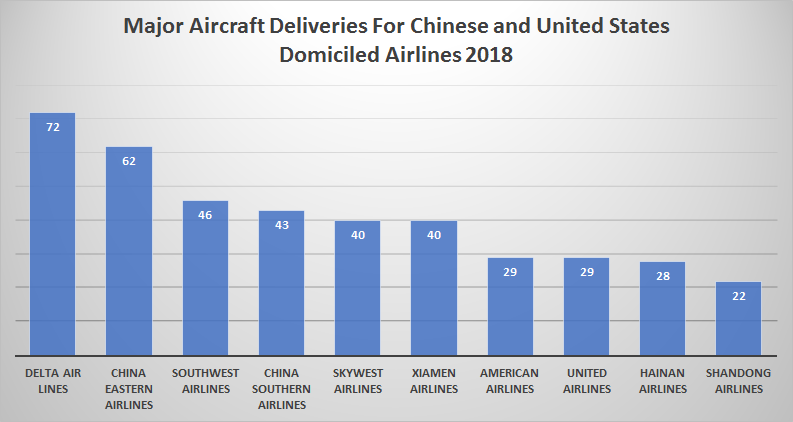 However, the expected deliveries are broadly similar across the top five airlines in each market: 216 to the U.S. based carriers and 195 to the Chinese airlines. 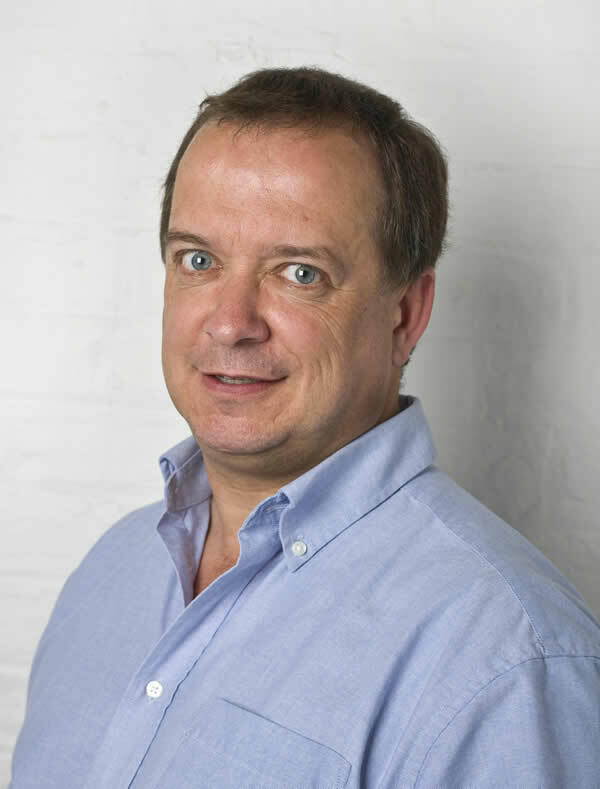 So, whilst orders are broadly in the same range, the intended purpose of that new capacity becomes significant in the race for the number one market position. In terms of actual capacity, the new aircraft delivered to Chinese-based airlines will offer 61,643 new seats, but the key question centres on the proportion of incremental versus replacement fleet capacity. In the table below, we have produced an assessment of the likely net impact of the planned 2018 deliveries on a full year of commercial operation. In a scenario of similar daily frequency across the fleet types and with an educated assessment of likely new versus replacement aircraft, we have calculated that Chinese airlines will see a net increase of 53.3 million seats in a full year compared to 15.7 million across the U.S. airlines. 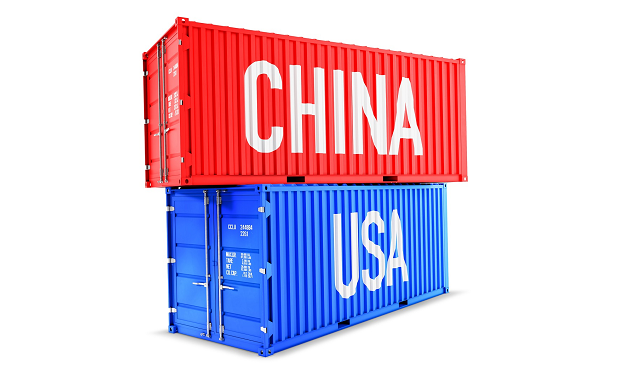 A significant 37.6 million move forward in closing the 2017 capacity gap between U.S. and Chinese airlines which stood at some 355 million seats with 1,064 billion seats from U.S. carriers playing the 709 million produced by Chinese carriers. 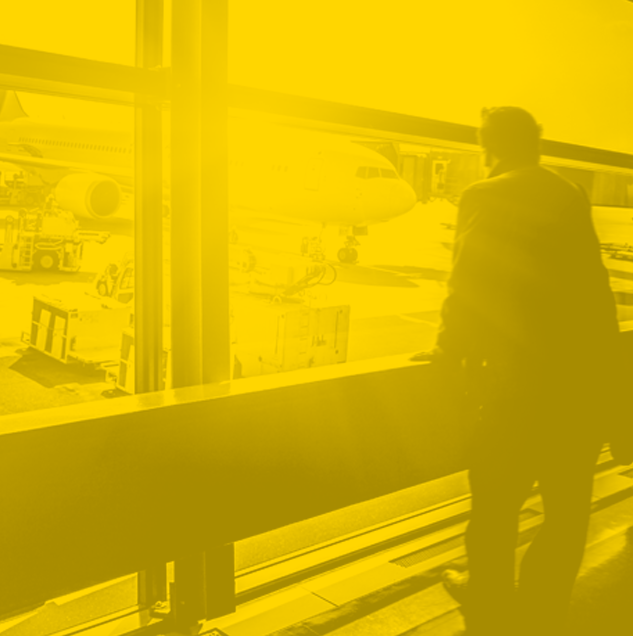 IATA’s most recent forecast is for China to surpass the United States as the largest air travel market in the next five years, which is two years earlier than expected. When allowance is made for additional inbound capacity growing rapidly into the market our assessment is that 2022’s milestone may actually arrive in 2021, trumping all expectations.